As you can probably tell, I’m pretty lax about my skincare requirements when it comes to ingredients - but sometimes - like when I look out the window and see some pouring rai-ain - I just want to feel - rather, I want someone else to make me feel - please make me feel … LIKE. A. NATURAL. woman. One of my favorite things about truly all natural skincare is the use of pure essential oils, because they take you to that beautiful, fresh expensive spa facial place in your mind. I hope you know what I mean! If not, here’s how you can go there. Mentally. 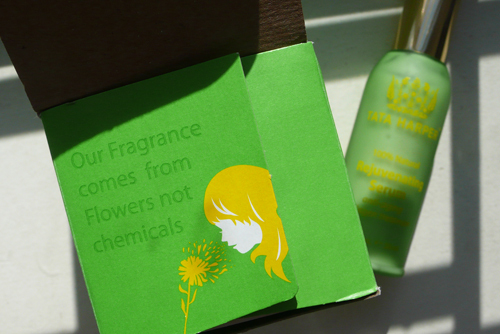 Tata Harper created an all-natural and non-toxic luxury skincare line that harnesses what she calls “100% natural technology.” She manufactures on a farm in Vermont and sells at Space NK and other upscale locales. The scent of the products is derived from flowers (and is thus amazing) … and the anti-aging efficacy is real - I’ve been using the Rejuvenating Serum ($150) and I love it. I have oily skin, but I need hydration too - I love that this is super-light yet rich at the same time, without having the gross silicone feel of most serums. It just feels pure. 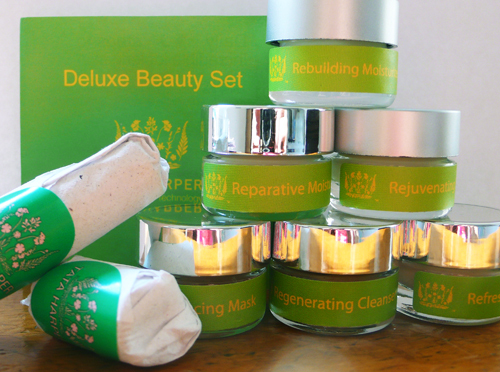 Today you can win her Deluxe Beauty Set of 8 minis including the Rejuventating Serum, Reparative Moisturizer, Refreshing Cleanser, Resurfacing Mask, and Rebuilding Moisturizer plus 2 other tiny mystery items. (Similar to this $65 set, but all sample sizes). 2. Leave a DISQUS comment below [click through if you’re reading this in tumblr] and tell me, what is your favorite flower and DROP A LINK TO A PICTURE OF IT! 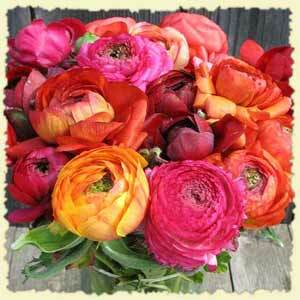 For me it’s RANUNCULUS (<- look at it, it’s so pretty!). Don’t comment in “Ask Me Anything” OR in the “FAN NOTE” area of tumblr <— guys, click through please, leave a comment on the blog not inside tumblr! Contest ends next Friday August 24, 2012 at 11.59pm Eastern. If you subscribe or follow to enter, you must be subscribed or following at the time of the drawing. Multiple comments DO NOT increase your chances of winning but love ya. Winner is drawn at random.